“Across Asia and Australia-New Zealand, the potential for Fanatical Support for AWS is enormous." Rackspace has announced an agreement with Amazon Web Services, under which the reseller will offer tools, expertise, application management, and operational support to customers on the AWS Cloud. Terms of the deal will see a core offering of Fanatical Support for AWS, plus three additional beta offerings - Managed Security for AWS, Compliance Assistance for AWS, and Managed Cloud for Adobe Experience Manager (which runs on AWS). Fanatical Support for AWS provides businesses with managed cloud services, tools, and applications that allow customers to focus on their core business. “Across Asia and Australia-New Zealand, the potential for Fanatical Support for AWS is enormous,” says Ajit Melarkode, Managing Director, Asia Pacific, Rackspace. “The customers expected to sign up for the Q4 beta program as well as the AWS-certified teams within Rackspace are excited about this new offering. “The question has often be asked on who the Rackspace of AWS Managed Services is going to be and the answer from now on, is Rackspace. In addition, Rackspace has become an Amazon Web Services (AWS) authorised reseller, completed the audit to become a Managed Services Partner, and is joining the AWS Partner Network at the Advanced Consulting Partner level with over 100 certified AWS engineers. 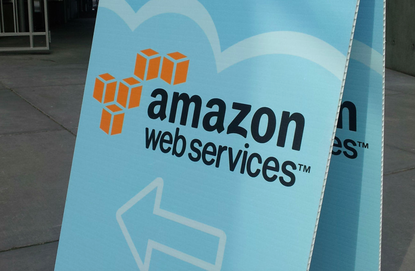 “We’re pleased to see Rackspace support AWS customers and achieve membership in the AWS Managed Service Program,” adds Terry Wise, Vice President of Worldwide Partner Ecosystem, Amazon Web Services. “A growing number of businesses who want the benefits of the AWS Cloud will find value in working with AWS Managed Service Partners like Rackspace.